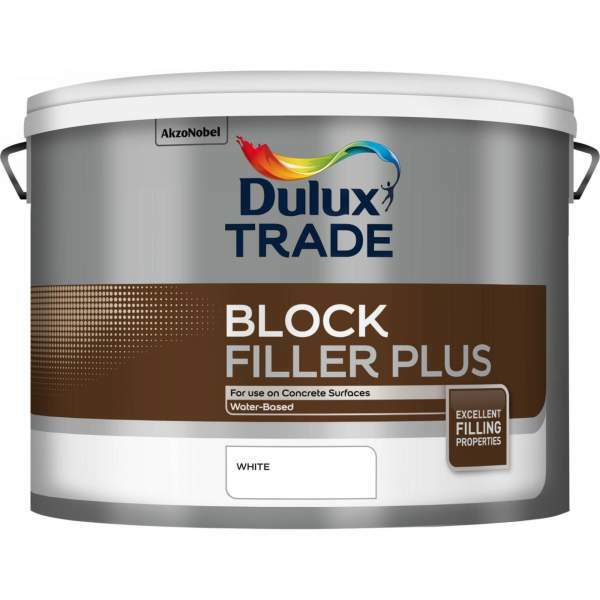 A water-based coating designed to fill surface imperfections in concrete block work. Recoatable in 4 hours. 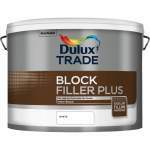 Dulux Trade Block filler Plus is a low VOC, water-based coating for interior concrete block work. This product is touch dry and recoatable in 1-4 hours and requires no thinning. To get the best results, ensure surfaces to be painted are clean, dry and free from all defective or poorly adhering material, dirt, grease and salts.